Shopping for wedding gifts is enjoyable, unless like Gwen you witness a Weevil massacre in the shopping centre. A trip to the zoo is a great day out, until a date goes tragically wrong and Ianto is badly injured by stolen alien tech. And Halloween is a day of fun and frights, before unspeakable monsters invade the streets of Cardiff and it's no longer a trick or a treat for the terrified population. 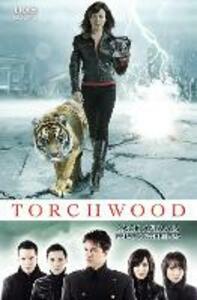 Torchwood can control small groups of scavengers, but now someone has given large numbers of predators a season ticket to Earth. Jack's investigation is hampered when he finds he's being investigated himself. Owen is convinced that it's just one guy who's toying with them. But will Torchwood find out before it's too late that the game is horribly real, and the deck is stacked against them?